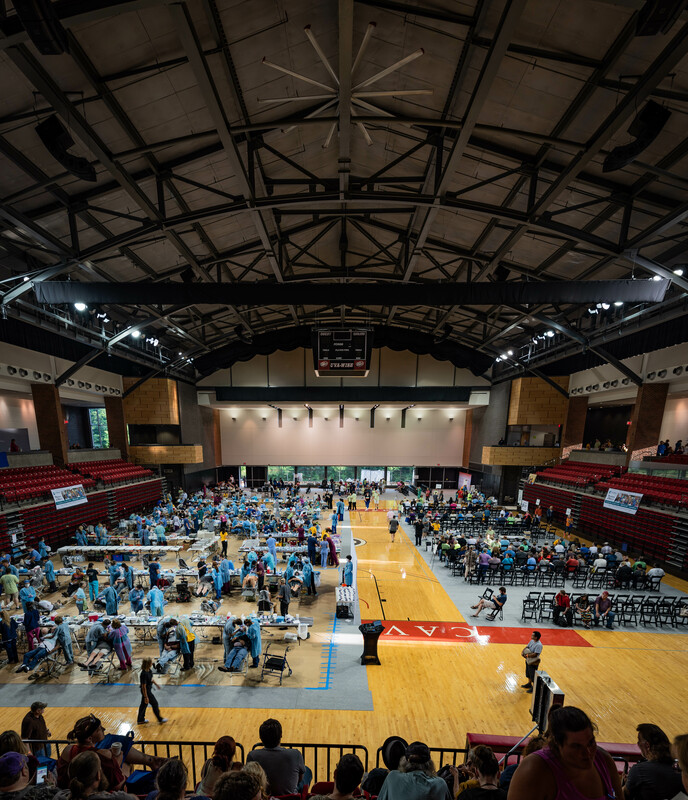 This past weekend, Interchrome Dental Lab extended a helping hand to our fellow Virginians at the 2018 Missions of Mercy that was held in Wise, Virginia. 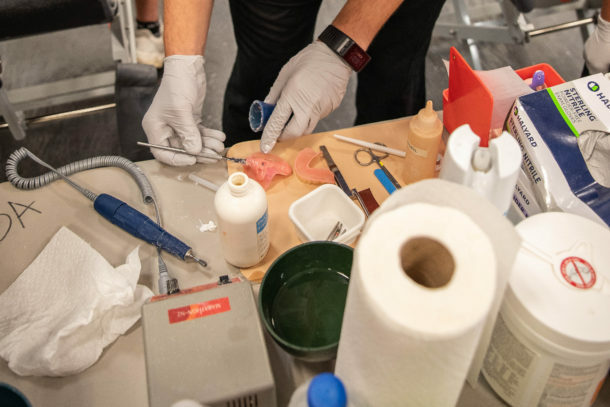 Being able to contribute to valuable missions like this is a cornerstone of our lab that we not only believe in, but look forward to being a part of. 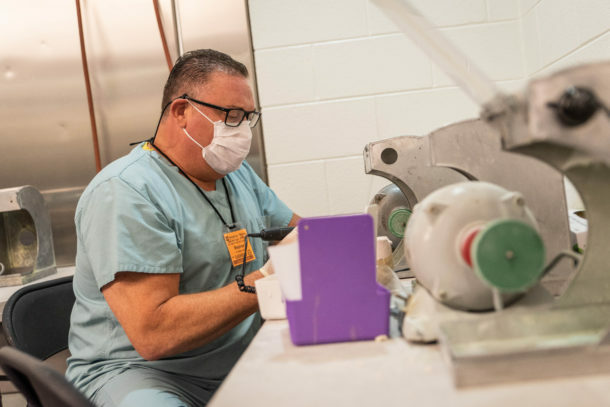 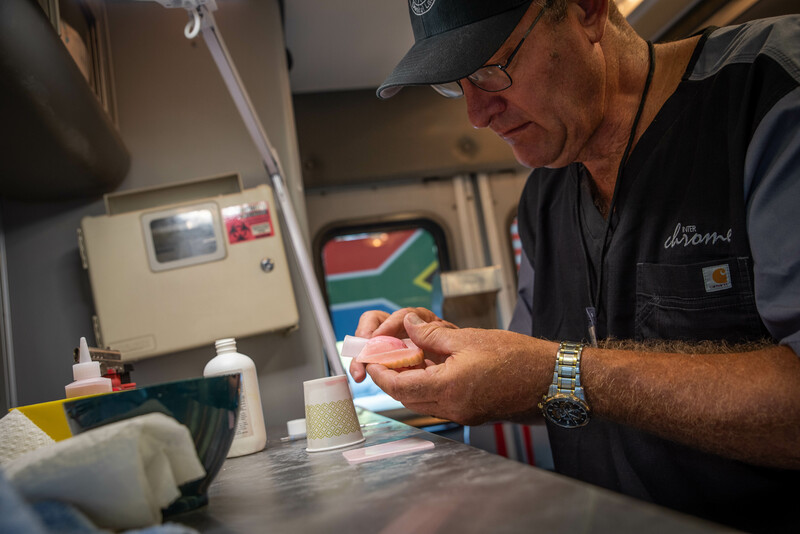 Through a groundbreaking technology called “Benchmark Dentures,” pioneered by Dr. Stephen Alouf of Roanoke, and Dr. Scott Miller of Bristol, we were able to provide complete denture treatment to more than 60 edentulous arches in the span of two days. Numerous patients were also cared for that required relines, repairs, treatment partials, and adjustments. 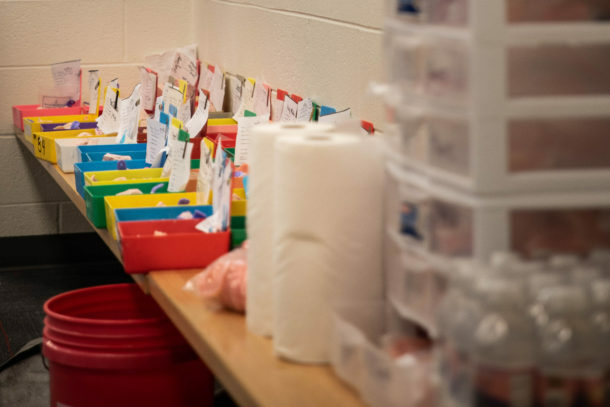 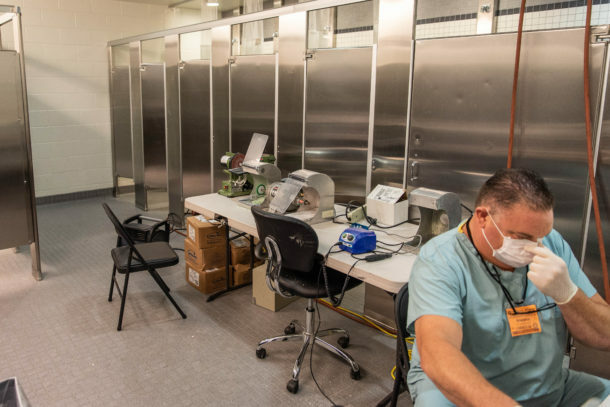 Doctors and their staffs, lab technicians, dental students, and many other volunteers came together as a team to deliver what couldn’t be done alone. 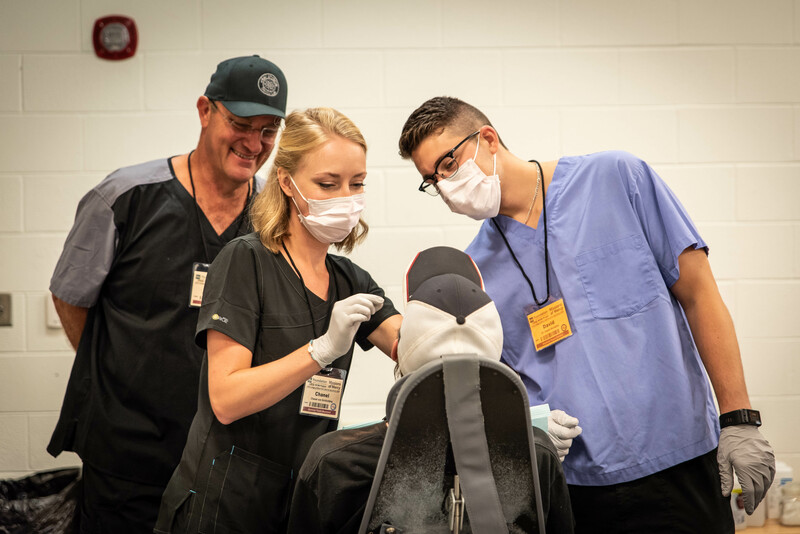 The Prior Center at UVA-Wise was transformed into an all out clinic for all aspects of dentistry for this year’s event. 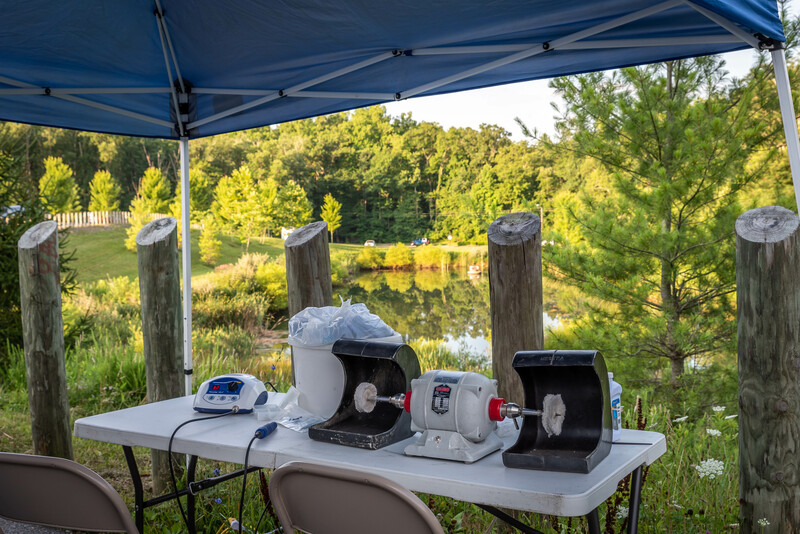 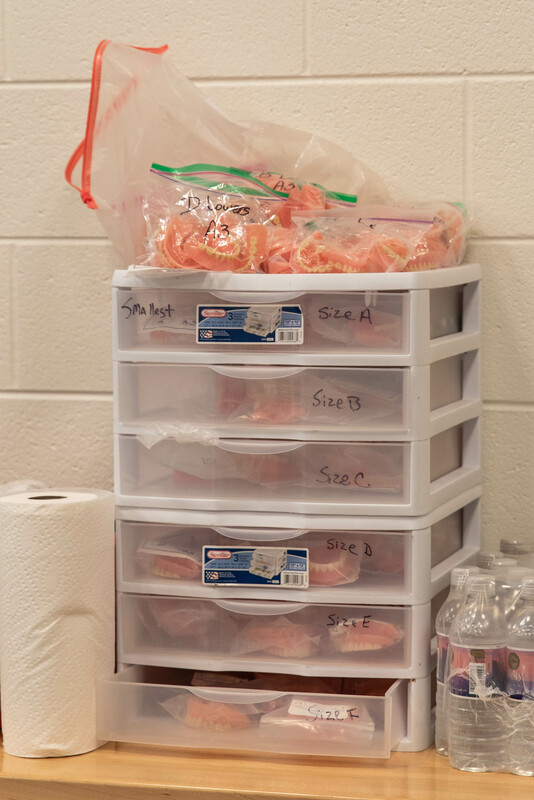 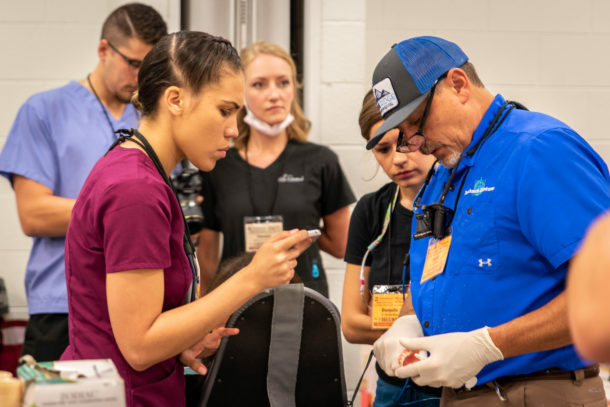 Formerly held at the Wise County Fairgrounds, the Virginia Dental Association worked hard to provide a more appropriate environment for this kind of care to be administered, which should continue to grow and become even more refined in future years. 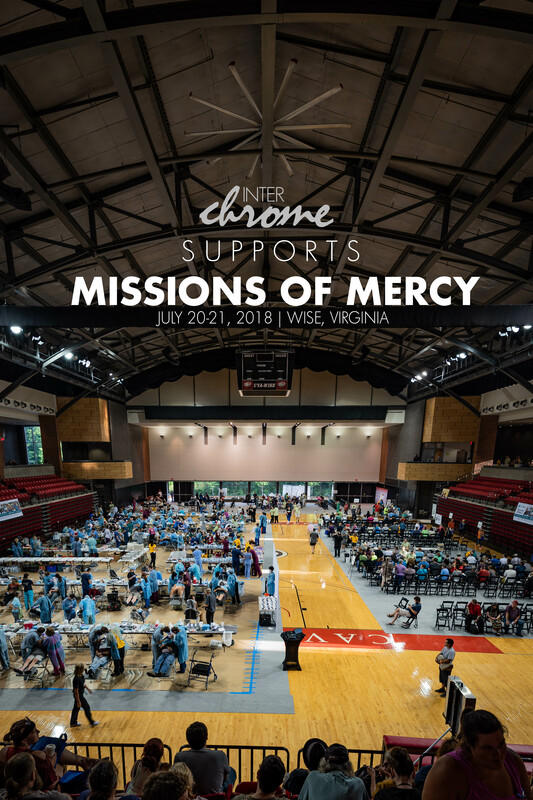 Interchrome plans to be a part of the next upcoming Mission of Mercy to be held in Grundy, Virginia, in October of this year. 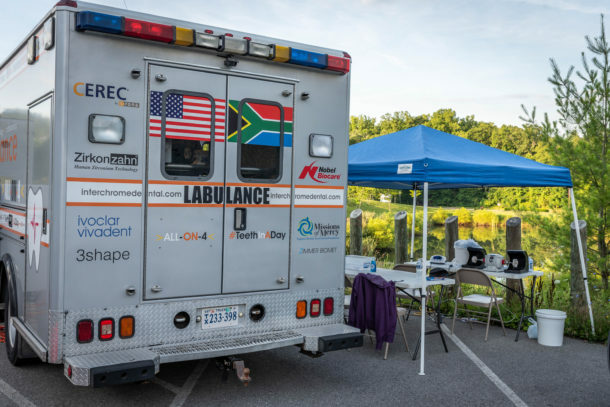 If anyone would like more information about joining us for this wonderful mission, please call us at the lab 757-271-5811, and we’ll be happy to share more details!